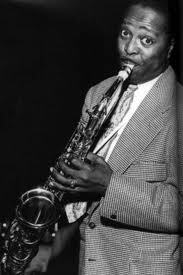 Louis Thomas Jordan was a pioneering American jazz, blues and rhythm & blues musician, songwriter and bandleader who enjoyed his greatest popularity from the late 1930s to the early 1950s. Known as "The King of the Jukebox", Jordan was highly popular with both black and white audiences in the later years of the swing era. In 2004, Rolling Stone Magazine ranked him #59 on their list of the 100 Greatest Artists of All Time.